Helping others cope with the emotional upheaval of a major loss is a funeral director’s most important job but beyond their supportive nature, they are also required to take care of all the logistics concerning the funeral service. From the moment of first contact, funeral directors and their supportive staff are dedicated to serving your family in a time of need on a 24 hour basis. This begins with the initial contact of arranging transportation of your loved one into our care, no matter if it is day or night. We also ensure that the appropriate documentation is completed along with this transfer. We also prepare your loved one for their final disposition. All individuals are treated with respect and we proceed with bathing, dressing, hairstyling and placing the individual in the selected casket. Pending the disposition choice, embalming and cosmetics will take place and / or transfer to the crematorium. 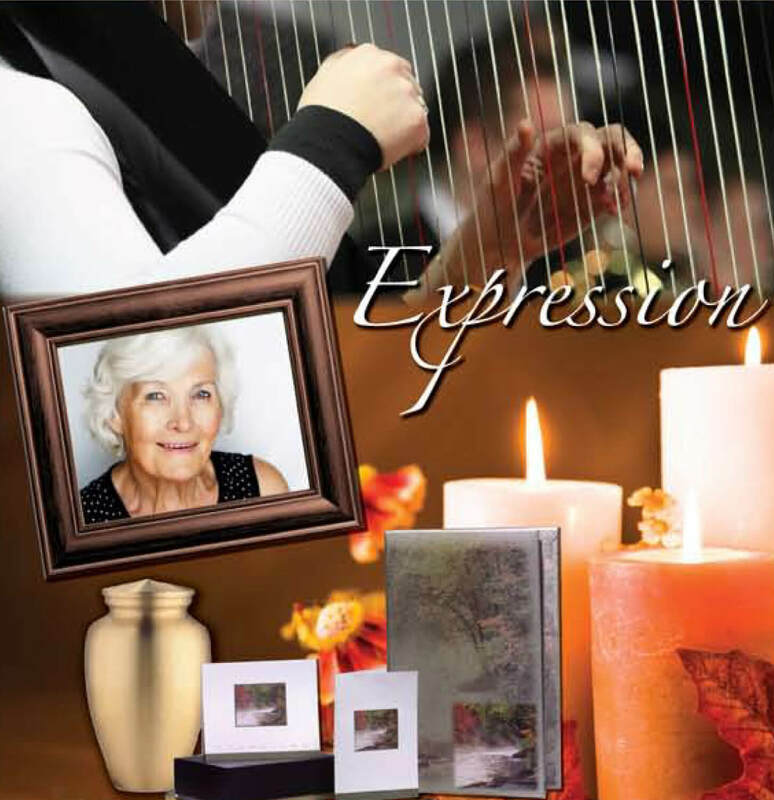 We complete the applicable paperwork; notifying Canada Pension Plan, receiving the death certificate, registering the death with Vital Statistics, submitting the Burial Permits, providing an estimate, submitting payment and honorariums to applicable facilities and individuals, assistance in completing Canada Pension Plan Death Benefit, as well as Survivorship Benefit if applicable, providing a final bill of expenses, providing Funeral Directors Statements of Death (FDSD) and monument permits. The first step is to select a funeral home. Notify them of where the death has taken place at. They will arrange for your loved one to be transferred into their care. To contact Courtney-Winter's Funeral Home, please call 403853.2666 if you have not already done so. We will set up an arrangement time that works best for your family. Obituary: We can submit newspaper obituaries upon your family’s request. Disposition: Please consider if you would like to proceed with cremation or burial. Viewing: Discuss if you would like to do a viewing. Select clothing that you would like for them to be dressed in. Also, we require permission to proceed with embalming, if applicable. Service: Discuss the location, preferable date and time of service, clergy / officiant (if there is not a preferred member of clergy, we do have individuals within our funeral home who are able to officiate services and adjust the service to your preferences), eulogy speaker, any other forms of personalized tribute (musical, scripture reading, poems, personal memories, open mike), hymn / music selections (average three song selections), slideshow / photo tribute (can be completed by our facility), memorabilia, pallbearers, cemetery location, reception location, preferred caterer, and menu preferences. If you request immediate assistance, yes. If the family wishes to spend a short time with the deceased to say good-bye, that’s perfectly acceptable. Your funeral director will come when your time is right, keeping travel time in mind. Burial in a casket is the most common method of Funeral Services in Canada. Cremation is selected because it allows for the memorial service to be held at a more convenient time in the future when relatives and friends can come together. A funeral service followed by cremation need not be any different from a funeral service followed by a burial. Usually, cremated remains are placed in urn before being committed to a final resting place. The urn may be buried, placed in a columbarium, or interred in a special urn garden that many cemeteries provide for cremated remains. The remains may also be scattered, according to provincial law. Viewing can be an asset in the grieving process, as it provides a sense of reality that the death has happened. A cause of death usually approaches in two fashions, either a long-drawn battle with failing health or a sudden passing. In both scenarios, a viewing can provide that opportunity to give family serenity. When the deceased had suffered through an illness or physical changes, we try to restore a healthier, more peaceful appearance of that individual. When the passing is unexpected, a viewing is an opportunity for family and friends to say goodbye and express their emotions in their loved one’s presence. In both cases, it provides a sense of comfort for many. Viewing is also encouraged for children, if the process is explained and voluntary. The purpose of embalming is to sanitize and preserve the body, as well as enhance the appearance of the deceased. This provides the opportunity to extend the time between the time of passing until the final disposition. Does a deceased loved one have to be embalmed, according to law? Embalming is not necessary except in certain special cases, embalming is not required by law. Embalming may be necessary, however, if you select certain funeral arrangements, such as a funeral with viewing. If you do not want embalming, you usually have the right to choose an arrangement that does not require you to pay for it, such as cremation or immediate burial." When compared to other major life events like births and weddings, funerals are not expensive. A wedding costs at least three times as much; but because it is a happy event, wedding costs are rarely criticized. A funeral home is a 24-hour, labor-intensive business, with extensive facilities (viewing rooms, chapel, hearses, etc. ), these expenses must be factored into the cost of a funeral. It really depends entirely on how you wish to commemorate a life. One of the advantages of cremation is that it provides you with increased flexibility when you make your funeral and cemetery arrangements. You might, for example, choose to have a funeral service before the cremation; a memorial service at the time of cremation or after the cremation with the urn present; or a committal service at the final disposition of cremated remains. Funeral or memorial services can be held in a place of worship, a funeral home or community hall. In 2011 the Alberta Funeral Service Regulatory Board passed a regulation 36.3 (1) Any cremated remains not claimed within 5 years from the date of the cremation must be disposed of by the funeral services business in a manner that is not offensive and that does not create a nuisance as specified in the funeral services contract. For further information on our regulations please visit www.afsrb.ca. Uncertainty about income tax issues can add to the stress experienced from the death of a spouse. You should meet with your family attorney and/or tax advisor as soon as possible to review your particular tax and estate circumstances. Bring a detailed list of your questions to the meeting. Please talk to your Funeral Director to see if you qualify for any benefits that may be available.